Mr. Delaney began his career with Virginia Beach City Public Schools in 1994 as a Social Studies teacher and coach at Princess Anne High School. 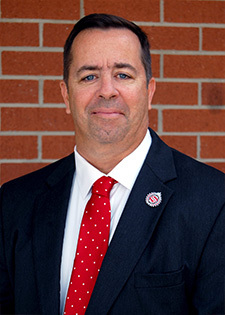 Prior to becoming the Principal at Larkspur Middle School, Mr. Delaney served as an Assistant Principal at First Colonial High School and Sal em High School. A graduate of Green Run High School, Mr. Delaney graduated with a Bachelor of Arts degree in secondary education from West Virginia University. He earned a Master of Science in Educational Leadership and Administration from George Washington University. Hoping to build her capacity to serve others, Mrs. Knight joined our Salem High School Administrative team in the summer of 2016. A proud native of Southern Chesapeake and a graduate of Great Bridge High School, she went on to earn a Bachelor of Arts in Spanish and a Master’s degree in Humanities at Old Dominion University. Mrs. Knight later continued her studies at The George Washington University and earned a Certificate of Advanced Studies in Educational Administration and Supervision. Mrs. Knight began her teaching career at her alma mater in 1992, and transitioned to Virginia Beach City Public Schools in 1995 as a Spanish teacher at Princess Anne High School. In 2003, Mrs. Knight and her family relocated to Louisiana where she taught both in New Orleans and St. Charles Parish Public Schools. In 2008, Mrs. Knight was named the Teacher of the Year for Hahnville High School, St. Charles Parish Public Schools, Louisiana’s Region One, and was a finalist for Louisiana’s State Teacher of the Year. Mrs. Knight was overjoyed to also be named the New Orleans Saints’ “Teacher of the Week” on October 12, 2008. In 2009, Mrs. Knight returned to Virginia Beach City Public Schools where she served as the World Languages Department Chairperson and SCA Adviser at Brandon Middle School. Mrs. Knight was appointed to Landstown High School: Governor’s STEM & Technology Academy as the administrative assistant in 2012 and promoted to assistant principal in the fall of 2013 where she served for three years. Mrs. Knight is excited to be a part of the SunDevil family! 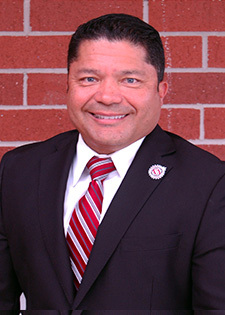 Mr. Padilla joined the Salem High School administrative team during the summer of 2012. Prior to joining the SunDevil family, Mr. Padilla had an extensive career as an educator. He first earned his Bachelor’s degree from Old Dominion University in Secondary Spanish Education. Mr. Padilla continued his passion for education and began his teaching career at Princess Anne H.S. where he taught Spanish. During this time, Mr. Padilla continued his studies and earned a Master’s degree from the University of Virginia in Curriculum and Instruction and an Ed. S degree in Supervision and Administration from The George Washington University. Mr. Padilla continued to move forward as an educator and instructional leader by serving as assistant principal during the 2006 and 2011 summer school programs at Princess Anne H.S. This led to Mr. Padilla’s 2011-2012 role as administrative assistant at Landstown High School Governor’s STEM and Technology Academy where he assisted their administrative team as well. Ms. Turnbull is a graduate of First Colonial High School. 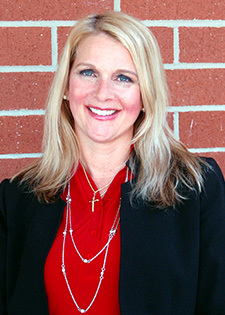 She joined the Salem Administrative team in 2009. Ms. Turnbull received a BS in Psychology from Old Dominion University in 1997, a Master’s Degree in Education in December in 1998 from Old Dominion University, and an Ed.S from Old Dominion University in 2009. Prior to serving as an assistant principal at Salem High, Ms. Turnbull served as a special education teacher at both Princess Anne Middle School and Ocean Lakes High School. This is her seventh year serving as an Assistant Principal. Mrs. Bissell joined the SunDevil family during the summer of 2018. 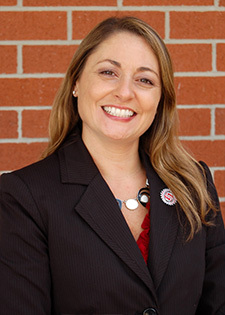 Mrs. Bissell is an alumna of First Colonial High School, who went on to earn a Bachelor of Arts degree in Spanish and Education at Longwood University, and received a Master’s degree in Administration and Supervision from Troy University. Mrs. Bissell continued her studies at The George Washington University and earned a Certificate of Advanced Studies in Educational Administration and Supervision. 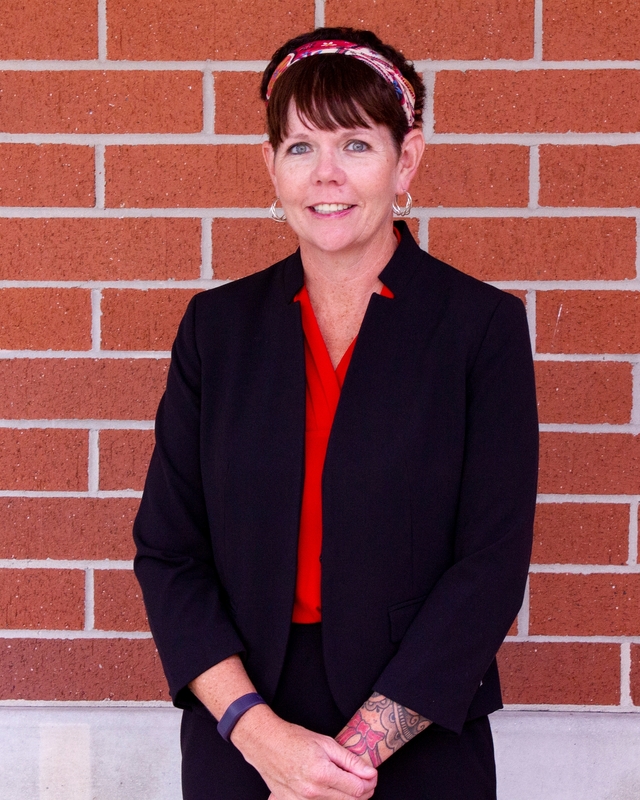 Mrs. Bissell’s passion for education, and supporting the success of all students, has been shaped over more than twenty years as a teacher and administrator. 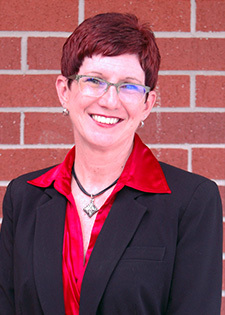 Prior to being appointed as the Coordinator of the Visual and Performing Arts Academy, Mrs. Bissell served as an assistant principal at First Colonial High School and Princess Anne High School, an administrative assistant at Kellam High School, and a Spanish teacher at Kempsville High School, Deep Creek High School, and Lafayette High School. Mrs. Bissell is excited to be a part of the SunDevil and VPAA family. Ms. Schuiteboer started her career with VBCPS in 1994 as a member of the Office of Programs for Exceptional Children where she served as an itinerant teacher before becoming the Transition Specialist for the school division. She joined the Salem team in August of 2013 as a special education teacher before accepting the position of School Improvement Specialist. Ms. Schuiteboer earned a BS degree in Special Education, Emotional Disturbance and a MS degree in Leadership from Central Michigan University. In 2012, she completed a certificate in Administration from George Washington University. Ms. Schuiteboer is happy to share her Salem experience with her daughter, a dance and vocal student in the Visual and Performing Arts Academy. Mr. Toran enters his fifth year as the Guidance Director at Salem High School. Prior to that he served as a School Counselor at Norview High for seven years. A native of Norfolk, he is a graduate of Norview High School who went on to earn his Bachelor of Art Degree in Mass Communications from Winston-Salem State University in Winston-Salem, NC. 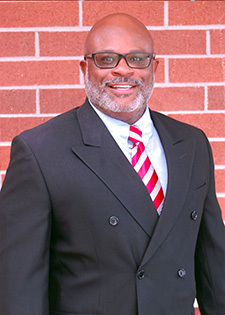 In 2005 he received his Masters of Art Degree in School Counseling from Norfolk State University in Norfolk, Va. Outside of his counseling duties Mr. Toran has been actively involved in coaching football and wrestling throughout the Tidewater Area for over 25 years. Mr. Toran and his wife Andrea have four beautiful children; Aleyshia, Andre’, Robyn and Aaron. 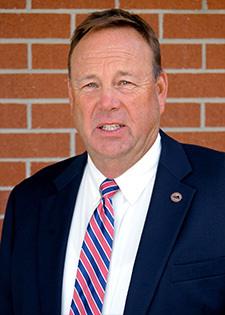 Mark Harrison received a BA in Physical Education from Newberry College in 1980 and his M.Ed. In Athletic Administration from Slippery Rock University in 1984. He has served the Virginia Beach City Public School System for 25 years, and enters his 21st year as the Student Activities coordinator at Salem. Harrison is also a standing member with the Virginia Interscholastic Athletic Administrators Association.